Preventive oral care is very important to us. We take the time to communicate and to instruct our patients in the best methods of maintaining a healthy set of teeth and gums. Excellent oral hygiene will also benefit your physical health in other ways as well. Periodontal disease can decrease your immunity system, leading to more occurrences of colds and flu. Gingivitis and tooth decay can even lead to heart disease and other chronic medical conditions. Good oral hygiene first begins with an excellent dental provider who can guide you through the processes with understanding in a relaxed and comfortable environment. We provide affordable and expert dental services for the entire family. We work with patients of all ages, including young children who are now ready for their very first visit to the dentist. Our restorative services include everything from fillings to crown and bridge, implant restoration, laser treatments, and even oral cancer screening. Come meet Dr. David Harry. With over 25 years of reputable dentistry services for the Oshkosh, Wisconsin area, Dr. Harry is well known for his calming presence during dental procedures. He is also a great restorative artist who can help you with a "Smile Makeover", taking all the time you need to answer your questions in advance. If you are experiencing pain or discomfort, or if you simply haven't been to a dentist in some time, come visit us. 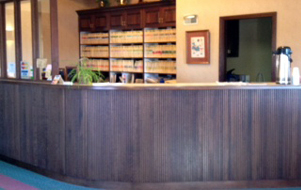 You will receive compassionate dental care and exceptional preventive & restoration treatments. Dr. Harry and his staff create beautiful smiles that last a lifetime.